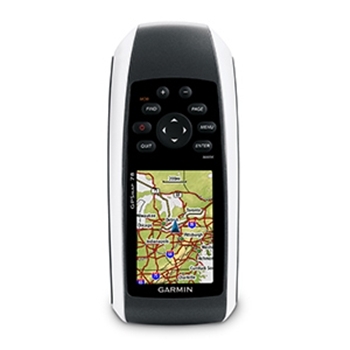 The Garmin GPSMAP 78 is an excellent choice for a handheld unit for the avid boater. The GPS 78 has a lot of great features packed into one unit. The ability to add, customize, and share maps, has never been easier. This unit is ready to go right out of the box for your next boating adventure. The color display is sunlight viewable and high sensitivity receiver will keep you locked into a signal. A high sensitivity 12-Channel WAAS GPS Receiver allows you to have quick satellite acquisitions no matter where you are. Whether you’re hiking underneath heavy tree cover, or out on the ocean, you will have fast map redraws, and excellent mapping detail. The GPSMAP 78 will last about 20 hours on 2 AA batteries, so you know you will be able to navigate on a short afternoon outing, or on a long voyage, with no worries of the unit dying, shortly after you start on your trip. The GPSMAP 78 has just begun as far as features go. With Garmin Custom Maps, you have the ability to transform electronic maps and paper maps into downloadable maps for your GPSMAP 78. Your maps can be downloaded the 1.7GB of internal memory or to a microSD card. BirdsEye satellite imagery is an excellent enhancement for the GPSMAP 78 series. By subscribing to this feature, you will be able to see aerial views of your destination. This handheld unit is a great addition for your next outdoor adventure. 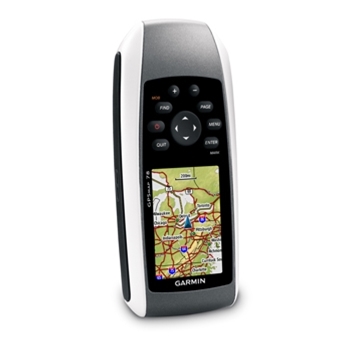 Great for many uses such as boating, hiking, or driving, you can use this unit to help you navigate virtually anywhere. With the ability to add maps, you can have detailed information in the palm of your hand. Not only does this unit have a lot of handy features, but it floats as well. 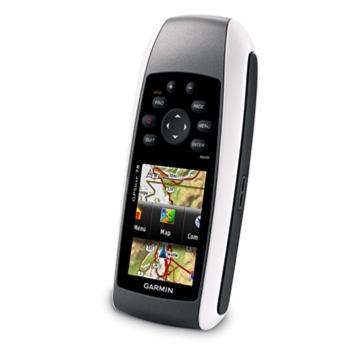 So rest-assure, if you’re in a rough boating enviorment, the Garmin GPSMAP 78 can withstand the elements. Don’t leave home without this high performance handheld unit, go out and get one today. Each GPSMAP 78 comes with: GPSMAP 78 with pre-loaded worldwide basemap, USB Cable, Wrist Strap, Quick Start Manual, and a One-Year Warranty. High Sensitivity WAAS GPS Receive. Up To 20 Hours of Battery Life with 2 AA Batteries. 1.7GB of internal memory for loading Garmin Custom Maps. Supports - Lat/Lon, TD's, UTM/UPS, MGRS , Plus other Grids Including Maidenhead. Shipping: FREE One Day Shipping!